Mar 25, 2019 / WORDS Chanel Issa / Finally bringing Misery home. 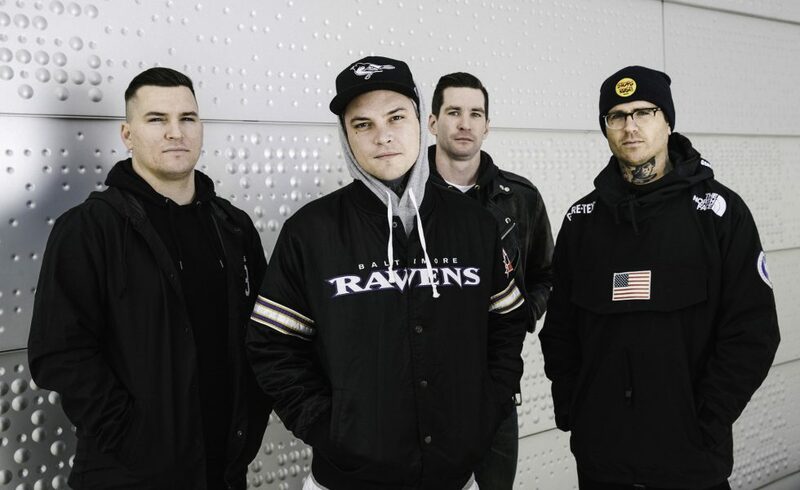 National Heroes The Amity Affliction have announced they’ll be hitting the road for a huge Australian tour this September. 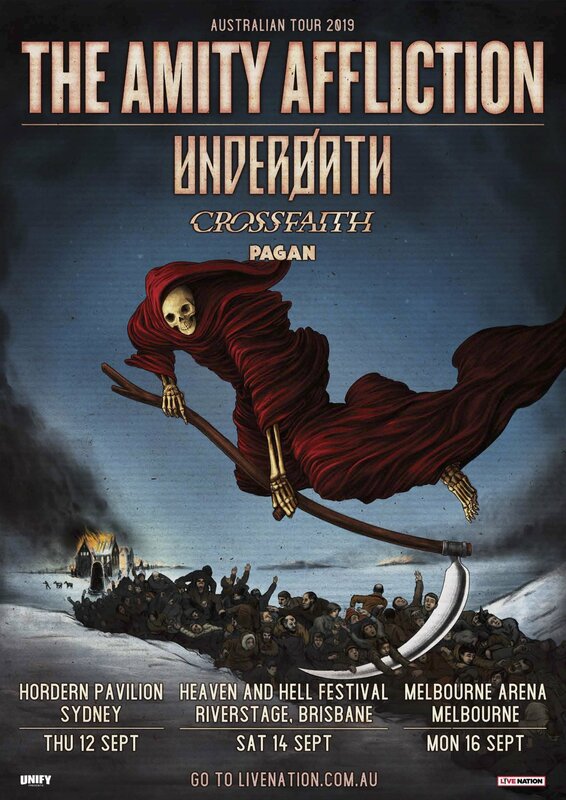 The tour comes off the back of their latest record Misery and will feature support from Underøath, Crossfaith and Pagan. Along with stops in Sydney and Melbourne, the band will also perform as part of Brisbane Festival’s 30th anniversary of Riverstage celebration. The show will feature appearances from Southeast Desert Metal, Void of Vision, Endless Heights and Thornhill—with more acts to be announced at a later date. Amity claimed their fourth consecutive #1 ARIA chart debut with Misery (their sixth studio album). They joined only a handful of Australian artists to achieve the feat, along with Powderfinger and Silverchair. The band have also racked up #1 debuts for Chasing Ghosts (2012), Let the Ocean Take Me (2014) and This Could Be Heartbreak (2016). Misery was supported by the release of cinematic videos for Ivy (Doomsday), Feels Like I’m Dying and D.I.E—all written and co-directed by frontman Joel Birch. Collectively, the videos form a short film, they have racked up a total of over 2.2 million views on YouTube alone. The tour announcement also follows a massive few months of international touring for the band, as well as a coveted appearance at this year’s Download Festival Australia. Underøath, Crossfaith and Pagan have also all had standout 2019s, appearing at this year’s UNIFY gathering. Tickets for all shows are on sale from 12pm Friday, 29th March. Live Nation will also host a pre-sale that will kick off 12pm Wednesday, 27th March until 10am Friday. You can catch all the details below. Tickets including VIP Experience info available through Live Nation.